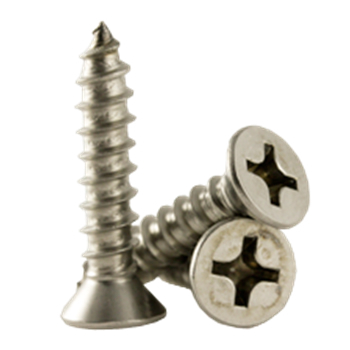 Type A Self Tapping Screws are sheet metal screws with a point and have wider spaced threads than Type AB or Type B self tapping screws. 18-8 stainless type a tapping screws are made from one of the following austenitic alloys: 303, 303Se, or 304, all of which are characterized as having a chromium content of 17-19% and nickel content of 8-10%. 18-8 stainless is used in products that require general atmospheric corrosion resistance. Currently stocking Phil Flat, Phil Oval, Phil Pan and Phil Truss stainless Type A self tapping screws all at wholesale prices.